You know when you're in a shop, or walking down the street, and you see someone wearing the most gorgeous hat/bag/lipstick, and suddenly you need that hat/bag/lipstick? This is what happened to me earlier in the week. Whilst having a peek at the beauty counters on a shopping trip, me and my sister spied a girl with the prettiest raspberry lips, and immediately wanted to know what she had on. It was a BareMinerals number I do believe, but I was sure I could find a similar shade in my collection. So, off I toddled home and low and behold, I found the perfect glossy raspberry shade, sitting there gathering dust amongst my other lippies. Let's face it - we all do it. We buy so many different items of makeup that there are those absolute gems that we forget about. 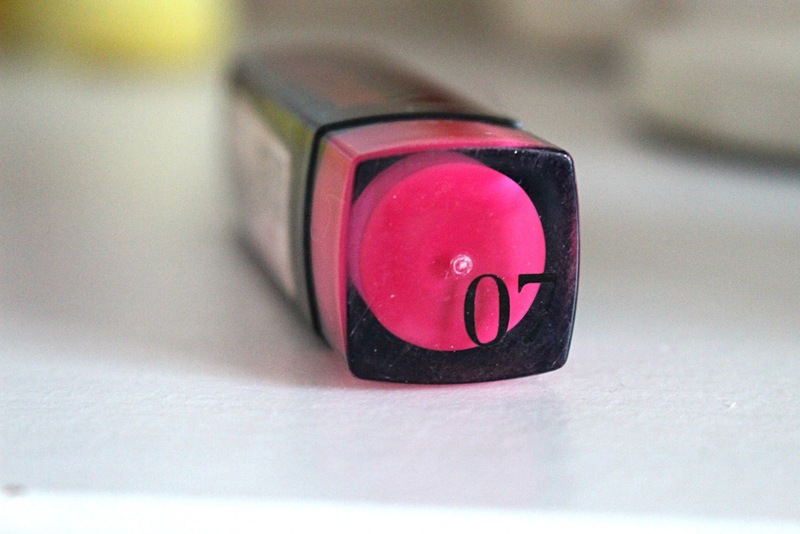 In my most recent case, my long-forgetten lippy was Bourjois' Rouge Edition Lipstick in Fuchsia Graffiti. I've had this resting among my makeup for absolutely ages now, but amongst the usual nudes or ultra-brights that I like to wear, it lay forgotten. 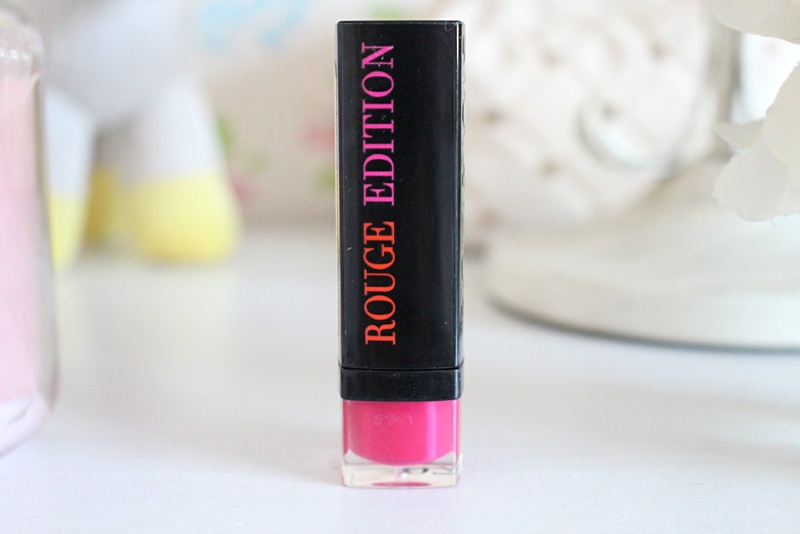 However, I'm so glad that I dug it out as I have fallen head over heels in love with this beautiful shade. 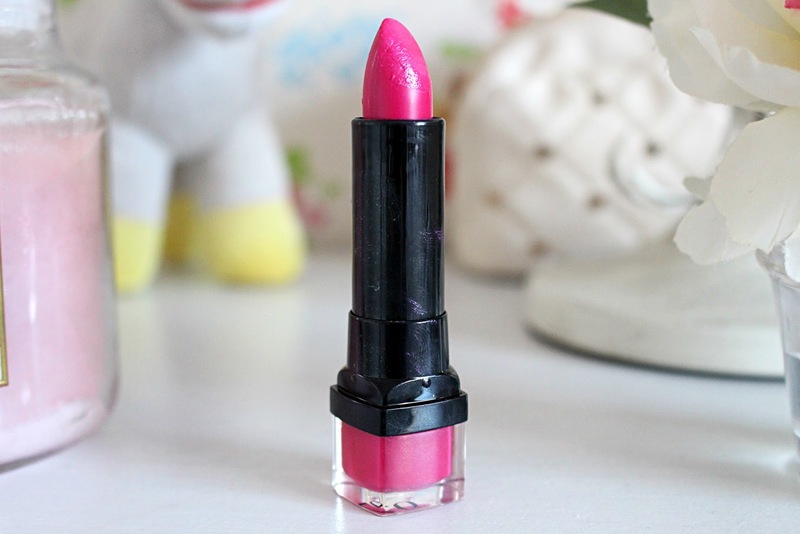 The perfect bold fuchsia-raspberry hue, this lipstick is ultra glossy, super pigmented and a total treat to wear. It's extremely moisturising, goes on like a dream and stays on surprisingly well. I don't have too much experience with Bourjois' lippies but I definitely feel this could be the start of a wonderful love affair. 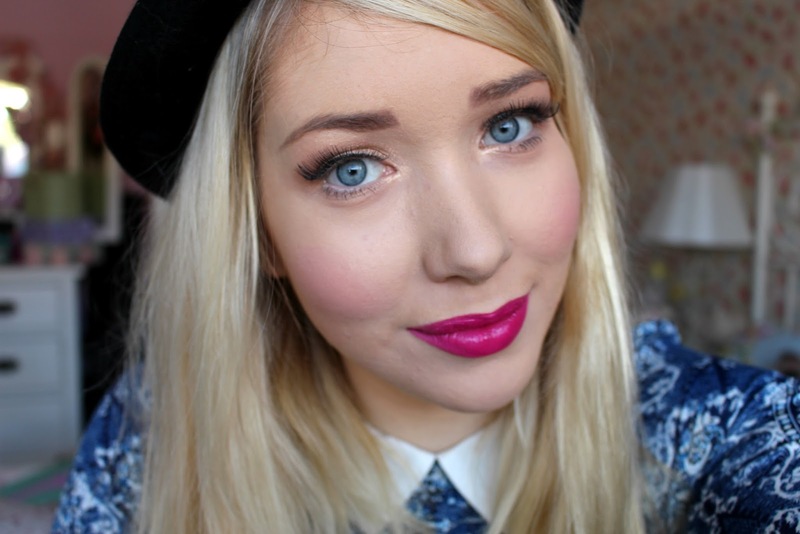 I love how this lipstick looks against my pale skin, and will be wearing it on a regular basis from now on. 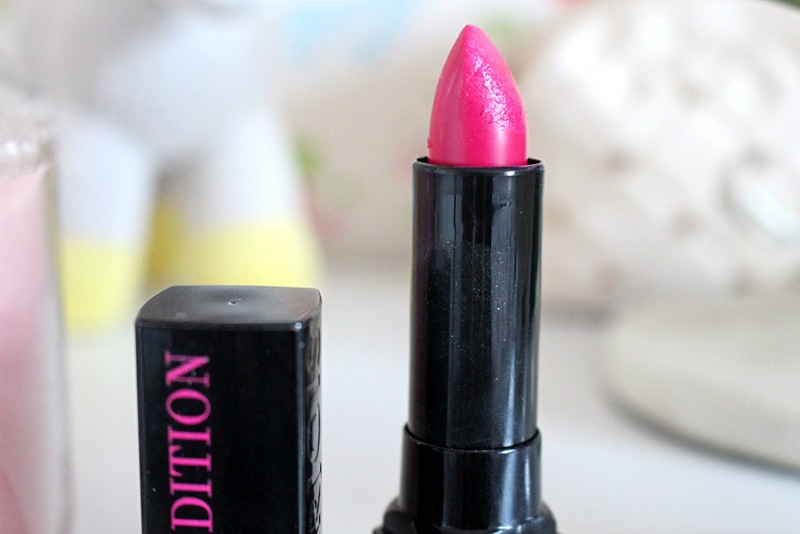 Do you have any long-lost makeup items that you recently reignited your love for?